John “Jack” Heaps passed away on March 25, 2019; he was 89 years old. Jack grew up in Franklin County, Alabama and attended Russellville High School. He spent most of his life living in Adamsville, Alabama. 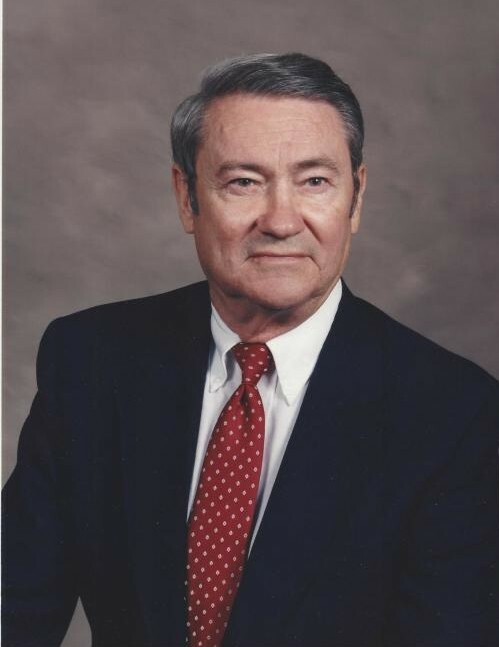 He was an Army veteran of the Korean War, was retired from US Steel and a long time active member of Westwood Baptist Church. He was predeceased by his wife of 49 years, Robbie Penn Heaps, and infant daughter Sherrill Heaps. Survivors include daughter Donna Heaps (Bill) Petty, son David Heaps (Cindy Kendrick) and daughter Jana Heaps (Jeff) Branch; three grandchildren Brian (Susan) Petty, Kevin (Sara) Petty, and Beth Branch and one great grandchild, Gavin Petty. We would like to extend special thanks to Lindsey, Kelly, Tijuan, Jonica, Brenda and many others from Kindred Hospice, Homewood. A graveside service will be held on March 27, 2019 at 2:00 pm at Crestview Memorial Gardens; Pastor Steve Potts will be officiant. In lieu of flowers, please make donations in Jack’s memory to: Westwood Baptist Church, Attn: Ruth Hull, 2349 Forestdale Blvd., Birmingham, AL 35214.